Visiting Eslöv and looking to get a location to swim? Nice option! Don't neglect to tell us how did it go. 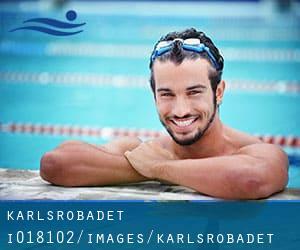 Introducing now Karlsrobadet swimming pool, an awesome swimming pool sent by a swimmer like you few days ago. Have you visit this pool? Do you work here? Please, contact us when you have info that you believe is gonna be useful and keep in mind from now on you possibly can now promote each pool just by sharing this page with your friends or adding comments within the Facebook boxes below. Come on and assist this pool to be the first in Eslöv! Among all the activities offered by the center, if you are thinking about swimming you may enjoy 25 meters, 6 lanes, 3.8 meters maximum depth, 3.8 meters maximum depth, Indoors. If you might want to get in touch with this Swimming Pool, email address and phone number are both number. If you believe that any of the info is incorrect, please get in touch with us. Assistance us be better day-by-day. Updated on 2019 Industrigatan , Bjarnum , SWEDEN (Postal Code: 28020). Among all of the activities provided by the center, should you be interested in swimming you will appreciate 25 meters, Indoors. If you need to contact this Swimming Pool, e-mail address and phone number are both number. Updated on 2019 Filbornavagen 101 , Helsingborg , SWEDEN (Postal Code: 254 61). This sports center gives 25 meters, 8 lanes, Indoors. Contact information and facts for this Swimming Pool such as phone number and e-mail address are number. Updated on 2019 This sports center offers 25 meters, 4 lanes, Indoors. For this Swimming Pool, only phone number is number here. Updated on 2019 Tivoliparken , Kristianstad , SWEDEN. Among all the activities offered by the center, if you are thinking about swimming you might enjoy 25 meters, 8 lanes, Indoors. If you will need to get in touch with this Swimming Pool, email address and phone number are both number. Updated on 2019 Ostra Vallgatan 6 , Trelleborg , SWEDEN (Postal Code: 231 52). Among all the activities provided by the center, if you're interested in swimming you can take pleasure in 25 meters, 5 lanes, Indoors. If you'll want to make contact with this Swimming Pool, email address and phone number are both number. Updated on 2019 Slottsgatan , Sosdala , SWEDEN (Postal Code: 28010). Swimmers like you reported 25 meters x 8 meters, 1 meters - 2 meters depth, 1 meters - 2 meters depth, Indoors. Phone number and e-mail address are number for this Swimming Pool. Updated on 2019 Landskronavägen 24 , Loddekopinge , SWEDEN (Postal Code: 246 35). Among all of the activities offered by the center, for anybody who is interested in swimming you can appreciate 25 meters x 12.5 meters, Indoors. Just in case you want to contact this Pool before dropping by, we only know the phone number. Updated on 2019 Tosthultsv. 19 , Lonsboda , SWEDEN. Swimmers like you reported 25 meters, 6 lanes, Indoors. Phone number and email address are number for this Swimming Pool. Updated on 2019 Skeingev. 19 , Osby , SWEDEN. This sports center provides 25 meters, 6 lanes, Indoors. Contact knowledge for this Swimming Pool which include phone number and email address are number. Updated on 2019 Högevallsgatan 1 , Lund , SWEDEN (Postal Code: 222 29). Few days ago a regular user of this center told us they offer 25 meters x 16 meters, 8 lanes, 1.8 meters - 5 meters depth, 1.8 meters - 5 meters depth, Indoors. Furthermore, they keep in good conditions 25 meters x 27 meters, Indoors. Contact information and facts for this Pool like phone number and email address are number. Updated on 2019 Delphinvagan, Building A or Magistratsvägen 55 A , Lund , SWEDEN (Postal Code: 220 10). This sports center offers 25 meters x 8 meters, 3 lanes, 0.9 meters - 1.5 meters depth, 0.9 meters - 1.5 meters depth, Indoors. For this Swimming Pool, only phone number is number here. Updated on 2019 In downtown Staffanstorps , Staffanstorps , SWEDEN. This sports center offers 25 meters x 12.5 meters, 6 lanes, Indoors. Contact information for this Pool just like phone number and e-mail address are number. Updated on 2019 This sports center gives Olympic size, 6 lanes, Indoors. For this Swimming Pool, only phone number is number here. Updated on 2019 Fajansvagen , Malmo , SWEDEN (Postal Code: Unknown). Swimmers like you reported 25 meters x 12.5 meters, Indoors. Unfortunately we do not have the e-mail address of this Pool, but we can give you the phone number. Updated on 2019 Södergatan 60 , Helsingborg , SWEDEN (Postal Code: 252 26). This sports center delivers 25 meters, 7 lanes, Indoors. For this Swimming Pool, only phone number is number here.